For more than 100 years it was known that raw foods have healing effects on the human body. And how could it not, when the famous proverb says: "Health enters through the mouth". But over time, the food industry has done its job and introduced many foods that are harmful to humans. If we look at the period from the mid-20th century onwards, we will see how malignant diseases become more frequent. One of the main reasons for the development of any disease is malnutrition. But, there are also natural ways to prevent and treat disease. Below we will introduce how raw food affects health, and how to prepare it. Learn what are the famous dishes, as well as the experiences related to this diet. What is actually raw food diet? If you are wondering how to clean the body of toxins in completely natural way - this is the right solution for you. Also raw food will help you to eliminate excess weight. Forget exhausting and rigorous diets that starve the immunity, because eating raw food will completely delight you. First of all, you need to know that this is not some new-age trend, nor any modern innovation. Raw food actually has its origins back to the 19th century, when it was discovered that the jaundice can effectively be treated by eating fresh apple. Subsequently, further research showed that fresh food improves the overall health of a person, so more and more people stopped cooking food. During the heat treatment, a lot of vitamins is lost minerals and other beneficial substances included that are important for our body. It is especially dangerous to fry food, so that practically does not bring anything good to the body. That is why cooked foods are called dead, and raw foods - alive. It is indeed so, because raw diet gives a handful of enzymes that are the essence of life. The real indicators that indicate to the harmful effects of cooked and fried foods can be seen from the outside and the inside. People today are getting fatter, especially in the stomach and hips, diabetes, heart disease and cancer are all more common. How to switch to raw food without some consequences? In general, the benefits of raw foods are numerous. First of all, the first thing noticed by those who switched to this mode is that they felt much better. Why is it like that? 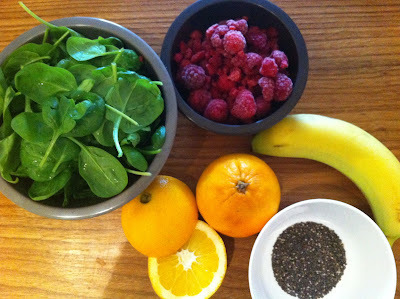 The reason is that raw food improves health, strengthens the immune system and detoxifies the body. An excellent example is the experience of those who have stopped eating meat and meat products. They noted how their behavior changed. They became more relaxed and do not show any signs of aggression as before. Moreover, many conclude that it can be used fresh as a cure-for all, because it improves overall health. It is essential, for starters, not to eat anything that is cooked either fried. Everything that was exposed to temperatures exceeding 50 ° C is forbidden. We have already mentioned what we lose by cooking foods a lot of healthy substances and why raw food is the best choice. This simple guideline can be your guide. What are the main benefits for health? When it comes to this raw diet, the benefits are numerous. In this way you will relieve the digestive tract, stomach and it takes less time and effort to digest food. In addition, introduction of dietary fiber keeps the intestines cleaned as well as liver from accumulated toxins. They are the main causes of many diseases. After all, the changes are noticeable on the outside - the skin is cleaner, there are no pimple nor stains, and the hair is shinier and healthier. It should be noted that the raw food as a drug is used against severe disease. In the first place are those concerning the heart and blood vessels. Consume only the essential vitamins and minerals, and fats and not harmful additives. Furthermore, many people were cured from allergies, hormonal disorders, and is a great advantage for women because it relieves PMS. There are testimonies and evidence that the successful treatment of cancer is exercised with raw food. This is nowadays really encouraging. In this diet you can feel free to be imaginative and make food the way you want. Of course, it is necessary to comply with all the basic rules and principles. In particular it should be mentioned that a combination of various fresh fruits and vegetable juices can be the healthiest. It's all up to you and your choice. Select the quantity and the taste that you want, and enjoy healthy drinks full of vitamins and minerals. Thus prepared juice you can drink during the day and between meals. As a result, it will give the ideal weight, without any need for strenuous exercise and exhausting diets. Breakfast: Grind 4 tablespoons of barley grain with some nuts, one banana and apple. With it you can drink blended fruit smoothie, or a glass of water with freshly squeezed lemon juice. Snack: few sunflower seeds or any fresh fruit. Lunch: gazpacho, vegetable soup or cream of broccoli soup. Afternoon snack: bit nuts or optionally fresh fruit salad. Dinner: crackers from Wild Garlic with a chickpea spear. As you can see fresh food represents freedom in every sense. We have given you just a case of one-day menu, which you can build on further. You are free from calorie counting, measuring and the like patterns. The only rule is that the first meal should be lighter fruit, based on nuts. Everyone choses the dose, when and what to eat. The most important rule is: do not eat anything that is thermally processed. If you are interested in raw food, recipes that we will share with you will surely like. Thus stored meals, will awaken your taste buds and be your way to better health. On the Internet it is possible to find a lot of examples to prepare meals, and we bring you the best. Chickpeas need to be left overnight submerged in water, and the next day they are washed every three hours. In the evening insert them in a blender, pour 1l of water and oil, and add a pinch of salt and cumin if desired. Mix until you get a slurry that can be smeared on bread. When it comes to raw food, recipes for spreads of this types are very popular and more and more people are interested in them. salt turmeric and cayenne pepper to taste. Sunflower seeds plunge into the water and let them stand for four hours. Then strain it and together with all the other ingredients insert in a blender. Blend until you get a uniform mass. Then transfer the mixture into a dehydrator and dry at 42 degrees for 4 to 5 hours. Cut them into slices and keep them in the appliance until crispy. Cucumber peel and avocado wash under running water. Then, all the ingredients insert into the blender and blend until you get a liquid mixture. Then just sleep in a bowl and enjoy fast and healthy meal full of vitamins. When it comes to fresh and raw food, recipes of Maya Volk became a real hit. She became known thanks to the fact that she beat cancer thanks to this form of diet. She published her book titled "Kettles are in hell, in heaven there is no cooking". She has presented numerous recipes for various dishes. We bring you two that you will surely love. sea ​​salt and pepper to taste. As stated by Maya Volk, fresh food is very easily prepared as is the case with this meal. Cucumber Wash but do not peel them. Clean only the peppers, then chop all ingredients and place in a blender. Whisk until you get a uniform mass, then set aside in the fridge to rest a little. This delicious meal is ideal as a main course, it will rejuvenate you and you will feel full for a long time afterwards. dates, almonds, walnuts, hazelnuts are optional. Same as in the case with gazpacho, all the ingredients just insert in a blender and grind well. Then with fingers make small balls and in each place one hazelnut, walnut, and almond. Carob chocolate is beautiful if rolled in sesame seeds, and it is necessary to leave it for a few hours until it slightly dries. Enjoy this healthy and tasty dessert thanks to which the raw food will become your choice. What are the experiences of Maya Volk? As already mentioned, she is one of the great advocates when it comes to raw food. This writer, TV presenter, and fado musician managed to beat cancer thanks to this way of eating. Today, more and more she is trying to raise awareness among people about the importance of a healthy lifestyle. According to Maya Volk, fresh food helps in bringing the body to normal. In this way it regulates the functioning of all cells, and prevents their "rampage". Therefore, disabling those that have spread and created malignant tissue. Patients with cancer she advises to strengthen the body with foods, and after four weeks perform a new analysis. In almost all cases, performance improvement and thus the cancer has gradually withdrawn. And she claims that the official medicine lost the war with this evil disease. It is therefore necessary to turn to yourself and accept all what is best for us, and that is Mother Nature. For those who are interested in fresh food, Maya Volk has published an excellent book, which we have already mentioned. In it you can find a number of recipes for dishes that you will like. In a blender place the watermelon, lemon, lettuce and a piece of ginger. You will get incredibly nutritious and tasty smoothie. Mix half a pineapple, a teaspoon of turmeric, ginger and a little piece of coconut water. Pineapple, coconut milk and a banana – it is piña colada. With the juicer for cold pressing squeeze beet, apple, lemon and carrots. Drink this and in the pulp put ground walnuts and dates, cinnamon and vanilla and - you will get the cake. Grated cucumbers with sunflower yoghurt: cup of yoghurt, half a lemon and garlic cloves and Himalayan salt and spices; Put in blender with two cups of water and there it is dressing for tzatziki! Today there is a growing number of those who are facing the consequences of modern lifestyle. First of all, those are the problems of medical nature, then obesity, stress and often depression. Therefore, many are happy to turn a new leaf and begin to acquire new habits. When it comes to raw food, the experience of people are more than positive. It is a widely known case of Boutenko family whose members suffered from a number of chronic diseases. Cure was found in the diet with raw fruits and vegetables, along with regular, moderate physical activity. To this day, their choice is raw food. They are happy to share with other people their experiences and openly propagate turning to nature. And with other people who have switched to this mode of eating same opinions can be found. So we will mention an experience of Karl (34) who did not know what fresh food was and what are the health benefits of it. He claims that he is now full of energy, serenity and he has no more mood swings which he previously had. In a large number of people treating cancer with raw food gave amazing results. Their experiences are almost identical, because they all felt a sudden rush of energy. The body was strengthened and cancer gradually retreated. Many are using it successfully undergone chemotherapy, with little to none signs of weakness. What are the disadvantages and drawbacks of raw food? Since nothing is perfect, so raw food does not correspond to each of us individually. The main disadvantage of it is that it usually lacks vitamin B12 and D. Sometimes the body is missing minerals such as iron and zinc. In this case, they should be replaced with the help of supplements. When the body does not get enough protein (animal) often we lack calcium. In addition to supplementation, you can find it in certain food. Read: What foods are rich in calcium? In addition, raw food diet during pregnancy is not recommended, as well as for nursing mothers and young children. Also, fresh food contains calories in a small amount, but it can have a negative influence on the general condition of the body. The cause is malnutrition and weakness of the whole body. Raw food, thermally unprocessed, keeps all its most important ingredients. However, this does not apply just for all nutrients. Carrots and tomatoes are real examples of this. Beta carotene and lycopene will do to our bodies a lot more when prepared as a stew. A similar scenario is with the iron that is of plant origin. As it can be seen, the road to health is not easy, because it requires a lot of discipline, self-control and prudence. Raw foods will help you feel great, but at the same time you will feel the rush of energy like never before. And, all thanks to what nature gave us to unconditionally use. General advice for all is that the required consulting with your physician is necessary before you start with this regime. Be sure not to get into anything on your own, especially without detailed blood controls. Foods that you should avoid if you want to switch to this diet are beans, potatoes, parsnip, buckwheat and mushrooms. In addition, it is strictly forbidden to consume any products that are dyed, treated with pesticides and preservatives. Because you learned how raw food affects overall health, read more about on how to alkaline the body.